Late fall in Maryland. Last updated: 11/3/2008. 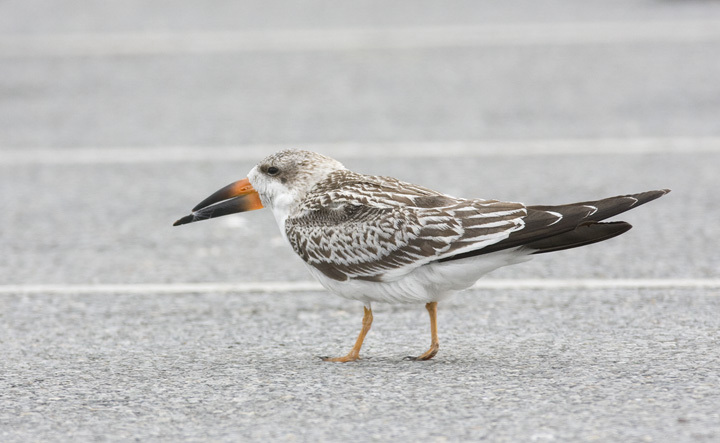 Above and below three: A juvenile Black Skimmer takes a break amidst the gull flock in the Ocean City inlet parking lot (11/2/2008). 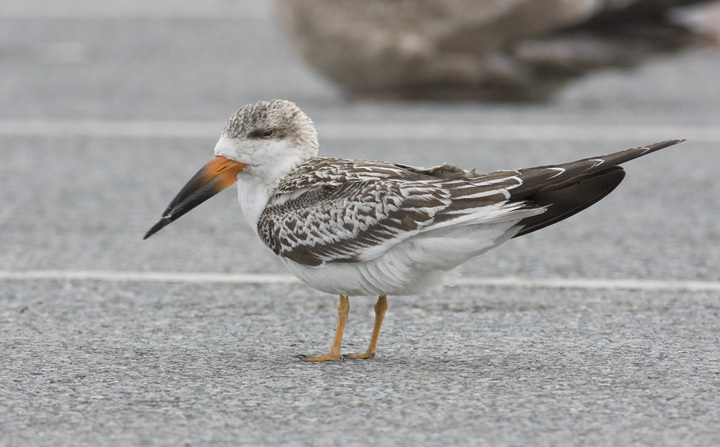 Note the fine striations on the bill, the frosty edges on nearly all flight feathers, and its tiny feet. 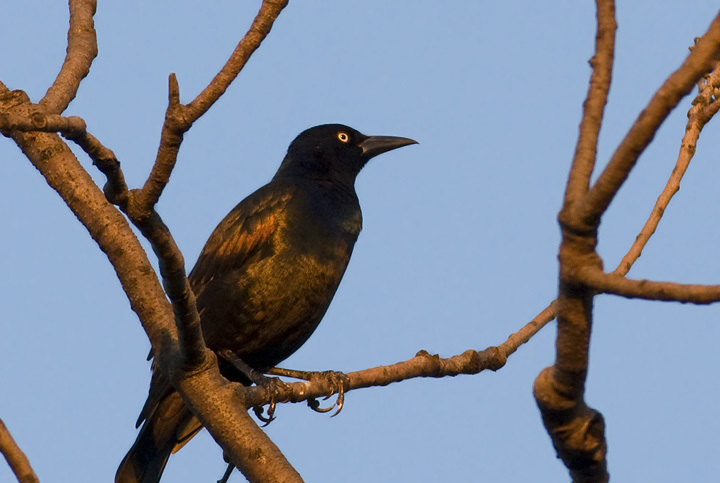 Below: A Bronzed Grackle (Q. q. versicolor) in our yard in Anne Arundel Co., Maryland (10/26/2008). 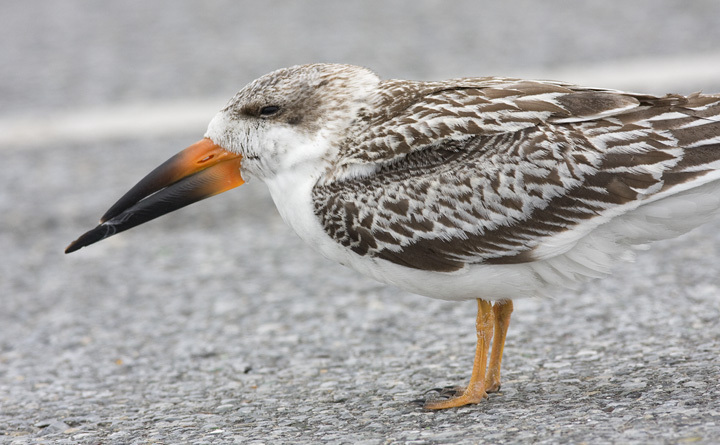 This is the subspecies that breeds generally west of the Appalachians that is the less common migrant and wintering subspecies in Maryland. 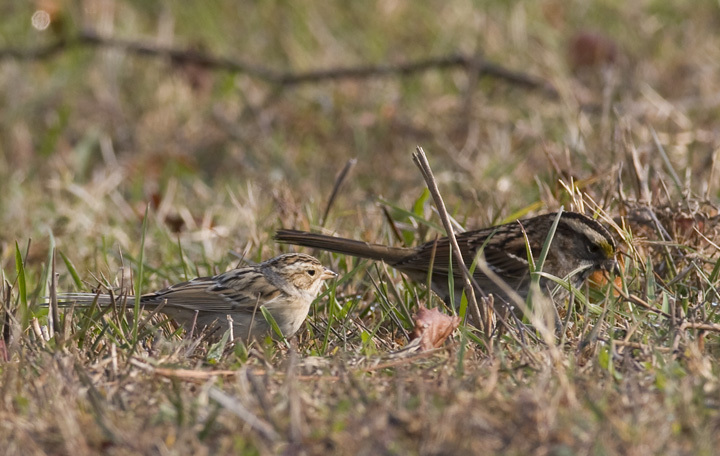 It was my first of the year, and my earliest sighting of the subspecies in Maryland so far. 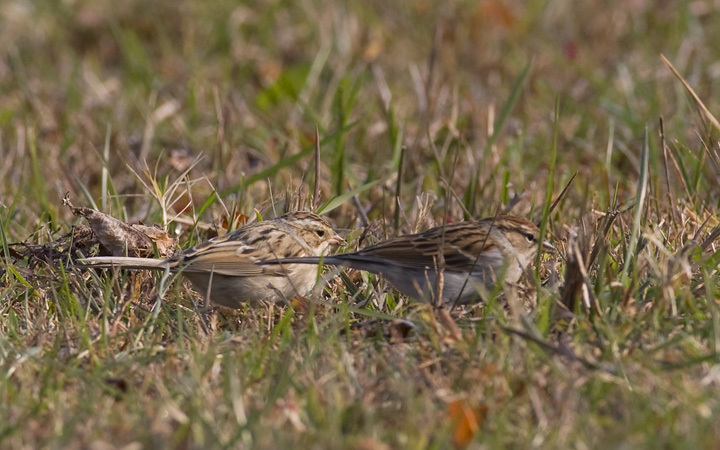 Below two: A Clay-colored Sparrow in the Bayside Campground, Assateague Island, Maryland (11/2/2008). 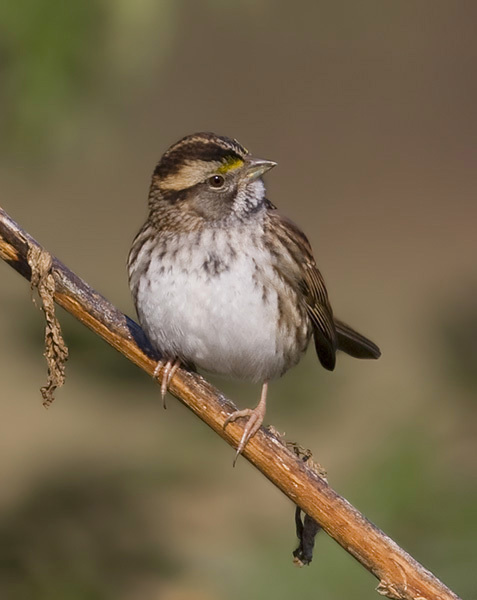 Note its small size compared to the White-throated Sparrow in the first image and plumage differences from the Chipping Sparrow in the second image. 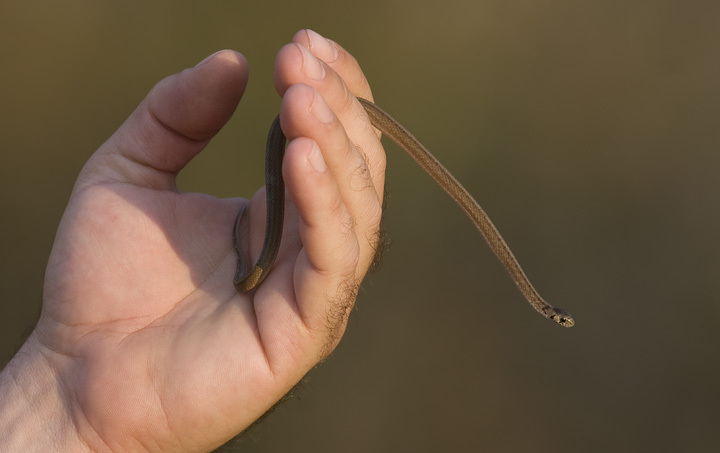 Below three: Jim Brighton spotted this tiny Northern Brown Snake crossing a trail in Howard Co., Maryland (11/1/2008). 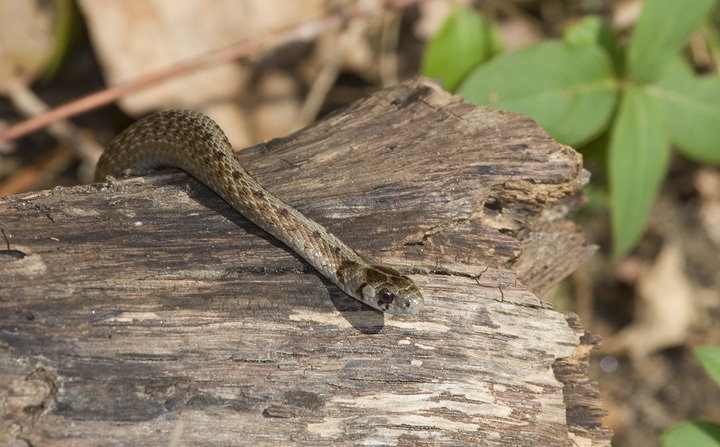 Below: To our surprise, we found a second Northern Brown Snake in Montgomery Co., Maryland (11/1/2008). 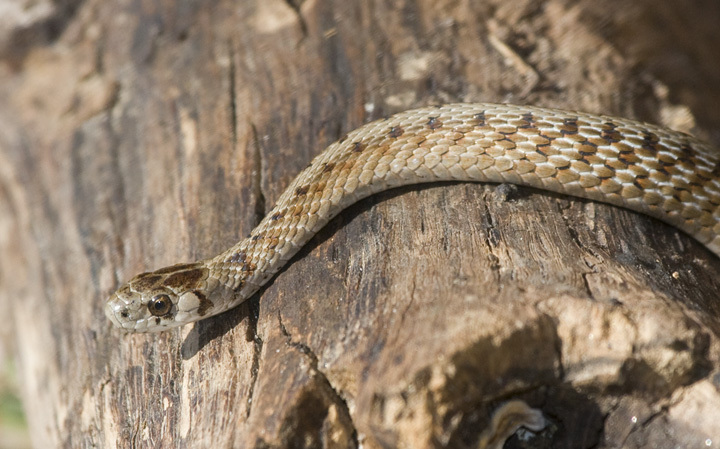 It seems the unseasonably warm weather following the recent cold spell had many reptiles active on this date. 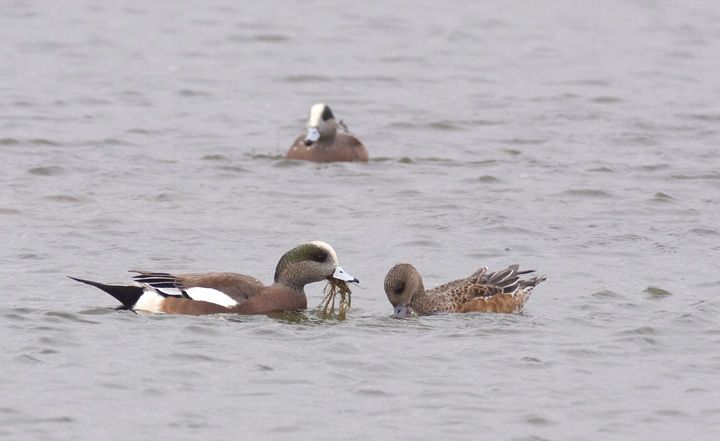 Below: A pair of American Wigeon feed on submerged vegetation in coastal Worcester Co., Maryland (11/2/2008). 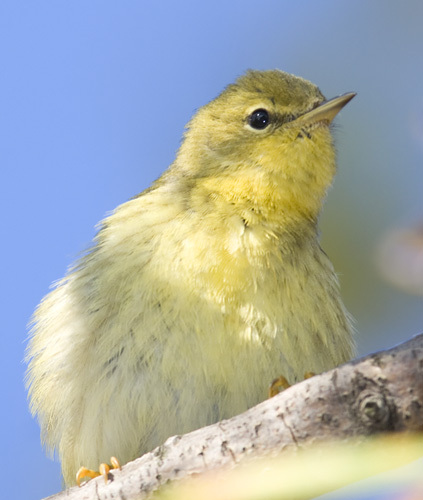 Below: The yellow feet of this weakly marked bird help confirm its ID as a Blackpoll Warbler (Fort Smallwood, 10/12/2008). 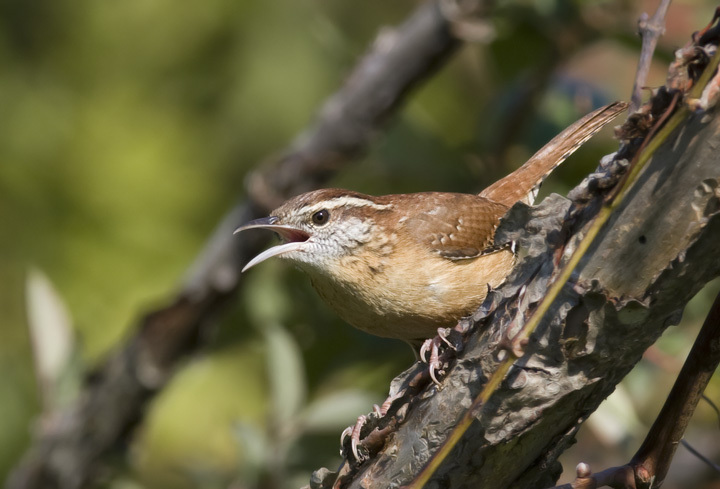 Below: A Carolina Wren raises its battle cry at trespassing birders, P.G. Co., Maryland (11/1/2008). 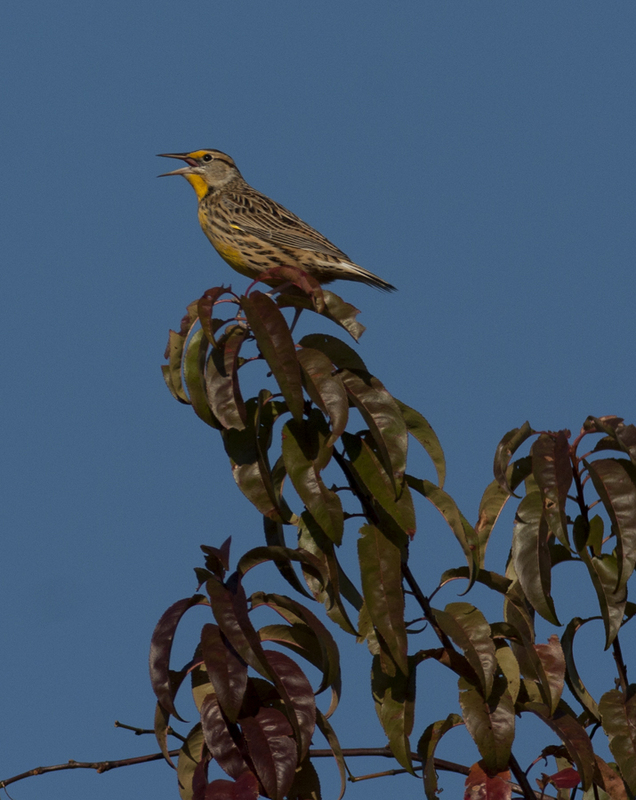 Below: An Eastern Meadowlark calls its zrrt calls from an exposed perch in Charles Co., Maryland (11/1/2008). 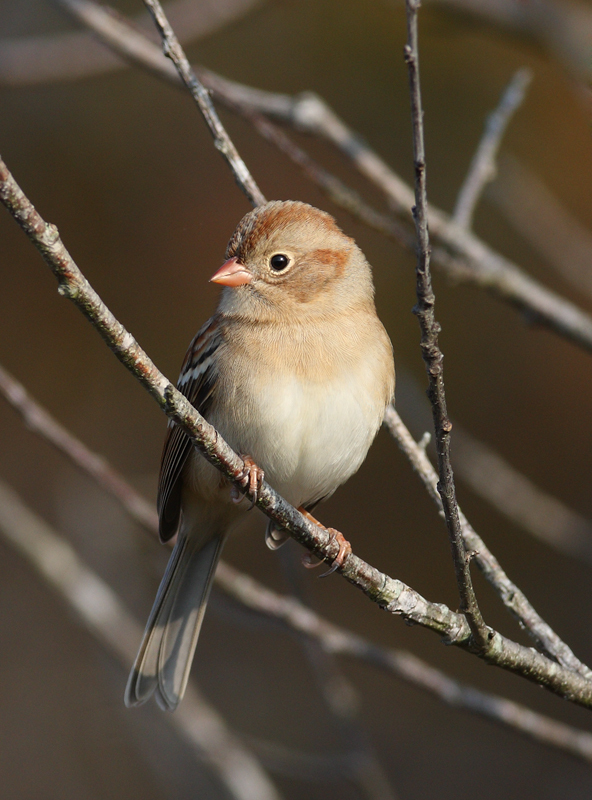 Below: A Field Sparrow on Assateague Island, Maryland (11/3/2008). 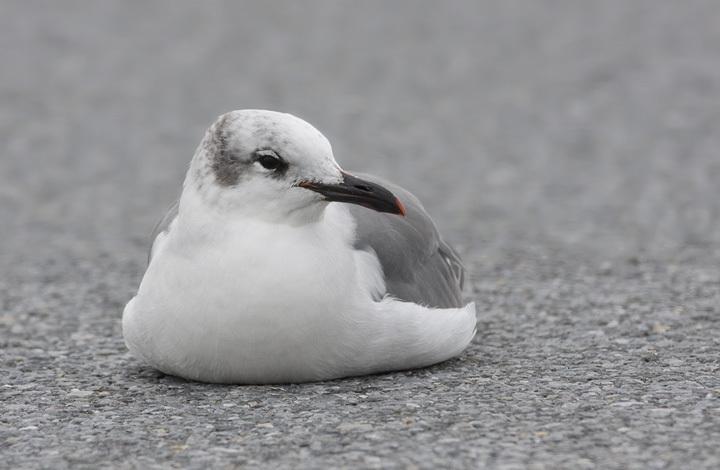 Below: A loafing Laughing Gull at the Ocean City inlet, Maryland (11/2/2008). 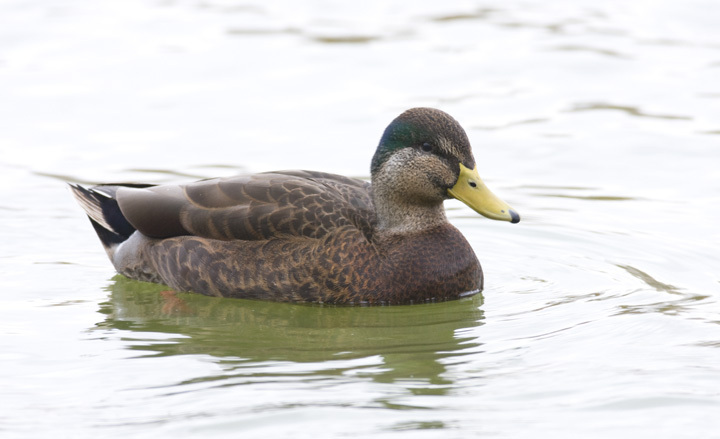 Below: An American Black Duck x Mallard hybrid at Ocean Pines, Maryland (11/2/2008). 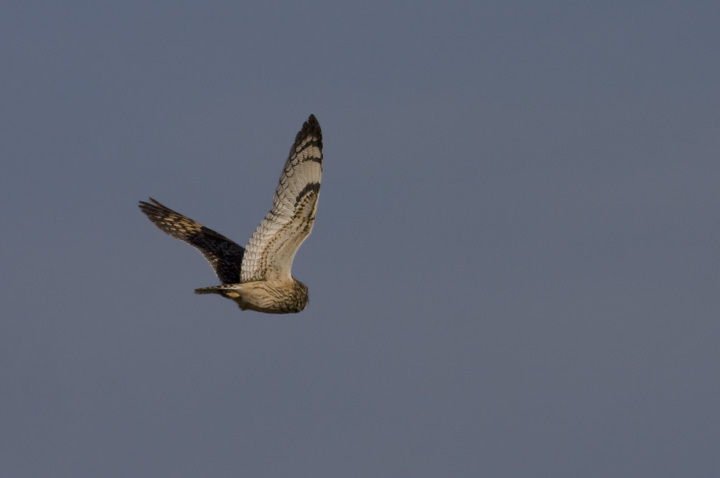 Below: Jim Brighton and I flushed this early migrant Short-eared Owl near the Patuxent River in P.G. Co., Maryland (11/1/2008). 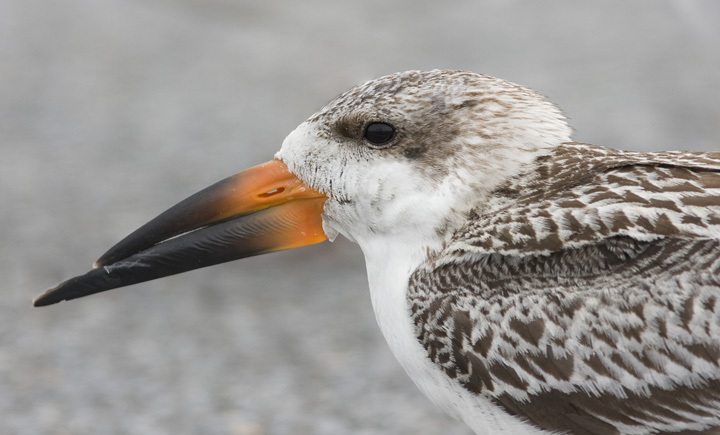 Although this isn't the best angle, I decided to include it for plumage details. 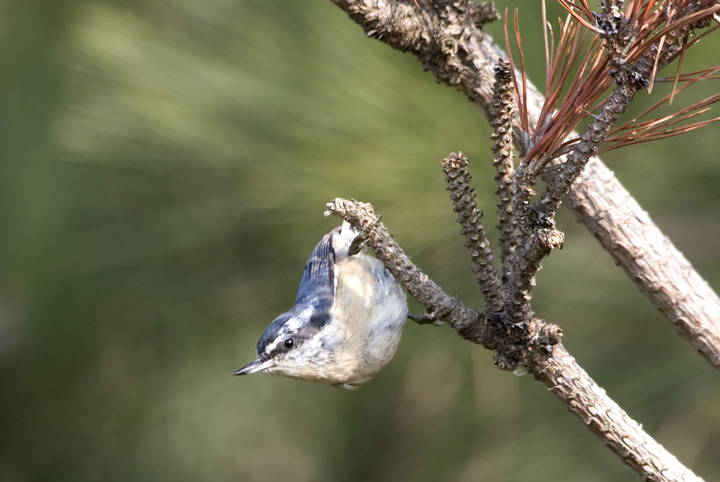 Below: A Red-breasted Nuthatch on Assateague Island, Maryland (11/3/2008). 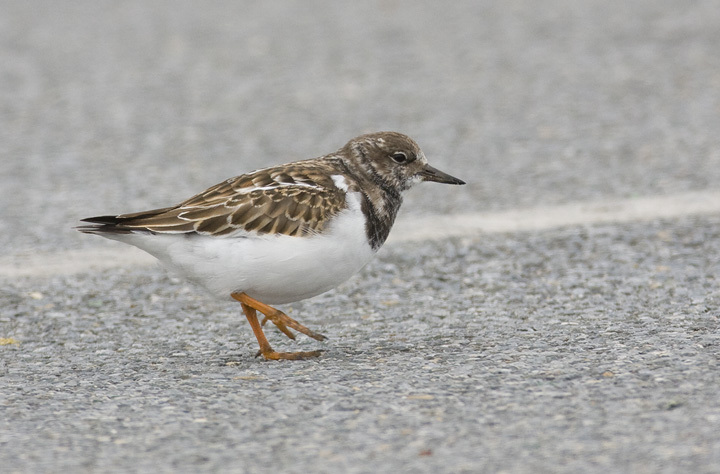 Below: A Ruddy Turnstone wanders the Ocean City inlet parking lot to stay out of the roughest wind (11/2/2008). 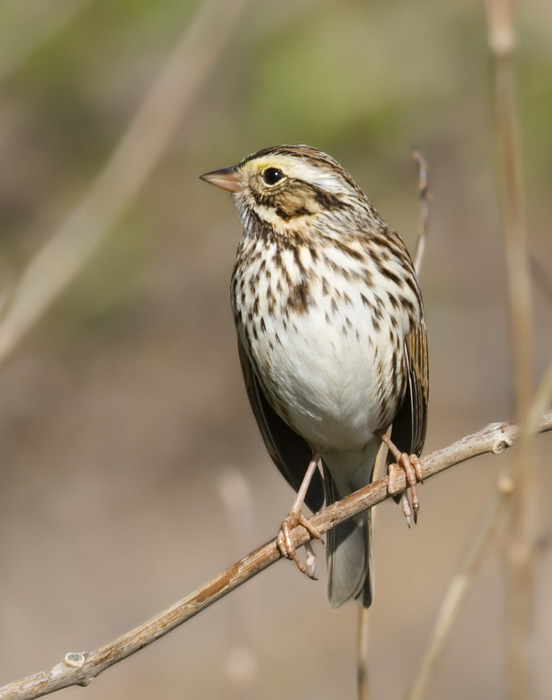 Below: A Savannah Sparrow in P.G. 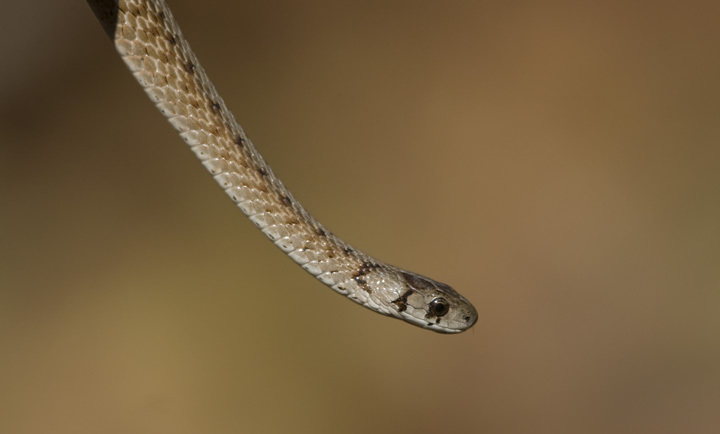 Co., Maryland (11/1/2008). 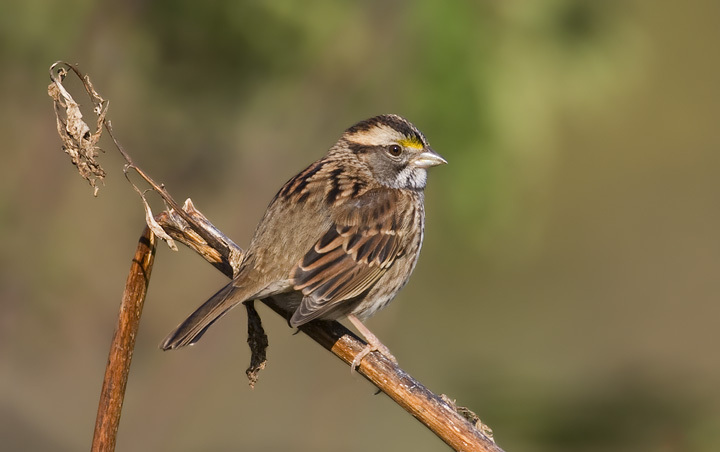 Below two: A "tan-striped" White-throated Sparrow in Charles Co., Maryland (11/1/2008).